A Mexican American national, Chef Valdez currently resides in Amman, Jordan and is fluent in English, Spanish, French, and Bahasa Indonesian. Chef Valdez's tantalizing culinary journey spans across ten destinations, in eight countries, across four continents. With a drive to constantly strive for more, Chef Valdes' has transformed the shape of cuisine and cooking altogether through a glitzing career of over 25 years to date. Since his arrival to the Kingdom in June, Chef Valdez has been the Executive Chef where he has been curating culinary concepts for the highly anticipated W Amman, ensuring that the city's newest iconic landmark debuts with a culinary experience like no other. With almost two decades of his extraordinary career with Marriott International, Chef Valdez is no stranger to the W brand. In 2011, Chef Valdez was selected as the Executive Chef by starred Michelin Chef Alain Ducasse Group to oversee the entire food operation at W Retreat & Spa - Vieques Island in Puerto Rico and prior to that served as the Executive Sous Chef at the five-star luxury flagship property of W Doha with two concept restaurants by starred Michelin Chef Jean-Georges Vongerichten. These restaurants were welcomed with huge acclaim winning not only the dinners' approvals but also approvals and awards from Conde Nast Traveler, the BBC as well as Time Out. Throughout his celebrated career, Chef Valdez served as the Director of Culinary and Beverage of Keraton Luxury Collection Jakarta Indonesia in 2013, where under his leadership took the number one position for three consecutive years for the Best Brunch and Mexican restaurant in Indonesia. 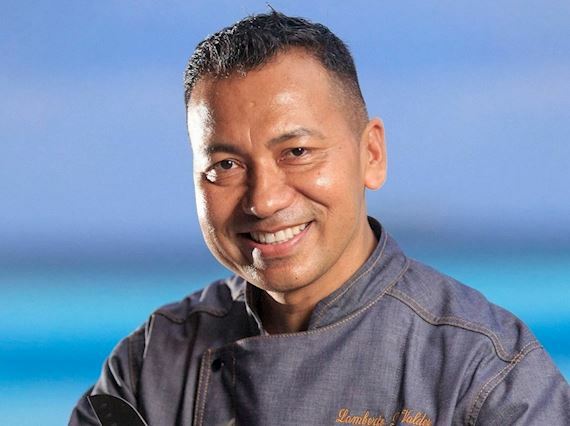 After his tenure in Indonesia, Chef Valdez served at the number one Resort of the Indianan Ocean and the second-best resort for 2016 and 2017 by Conde Nast Travelers at the famed Anantara Kihavah. Not only did he head the seven renowned F&B venues, but his new menu won him the accolade for the number one under water restaurant of the world in 2017 by World Traveler's Awards. Passionate for cooking since a young age, Chef Valdez grew up in the pacific coast of Acapulco, Mexico, where in between school and fishing, he served an apprenticeship in the legendary Princess Hotel of Acapulco. Since then, the chef has been on a culinary adventure that saw him serve along the most sought-after brands in the industry, ranging from The Luxury Collection and The Ritz-Carlton and even at two of the most notorious Michelin starred restaurants in Toulouse, France. Continued to be driven for his passion for cooking Chef Valdez also opened his own restaurant called El Chamol at Lake Worth, Florida that features a 150-seat upscale modern Mexican Nuevo Cuisine fine dining restaurant whereby he was personally involved in the detailed planning of the restaurant concept, kitchen design and layout.